The Title Tool in the Avid Media Composer. I know that complaints about the Avid Title Tool are commonplace, and have been that way for a very long time. But over the years I have tried to remain positive about the benefits of using the internal title tool. These days the disadvantages of building titles in the Avid Title Tool far outweigh its advantages. There's a lot to be said about the advantage of having all the data in the Avid Media Composer system necessary to edit a title, but I have long had a problem with how Avid treats changes to titles. Those changes are always local to the title you are working on and have no effect on any other instances of the title you have in your sequence. In addition, I find the Avid Title Tool to be slow and clunky for building clean lower thirds and I can never use it when working with a client looking over my shoulder. My workflow for lower thirds is to build all of the elements minus the text in Adobe Photoshop, import that file and then lay the text from the Avid Title Tool over it. Each line of text has to be a separate element so that I can have some control over line spacing. 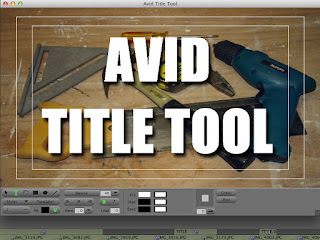 The key is to minimize what has to be done in the Avid Title Tool. 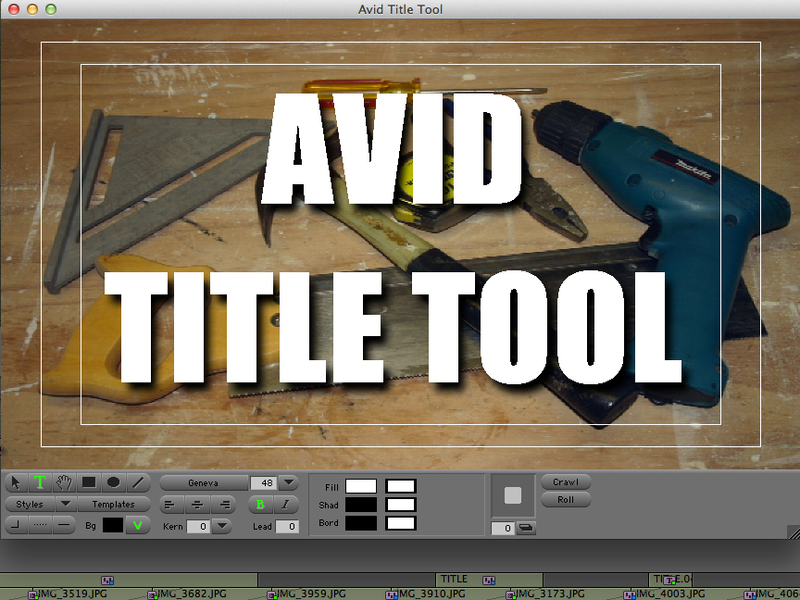 The tools and options available for use in the Avid Title Tool. Spacing between lines in a single text object cannot be changed. There is no way to position objects on screen by entering numbers as coordinates. The only available shapes are circles and squares. Feathering shapes is only possible from edge to edge in one direction. This one is nitpicking I know, but If I create a title with the video background disabled, the Title Tool should not export a graphic with alpha. The thing I find most frustrating about the Title Tool is moving objects using the keyboard. Using the ARROW key, you can only move an object one pixel at a time. If you try and hit the SHIFT-ARROW key combination, it will not move the object in 10 pixel increments (like everywhere else), but instead it adds a shadow. Having the shadow depth mapped to the SHIFT-ARROW keys is very inconsistent to how this key combination works everywhere else. It is more important to be able to move text objects with the arrow keys, especially since the only way to control line spacing of text is to create separate text objects. I know some of you may say, "why not just use Avid Marquee?" In my opinion, I'm much better off just using Avid FX (Boris RED) in Avid Media Composer. In either case, all edits to a title are local-only and have no effect on any of the other instances of the same title spread throughout the timeline. My preference for properly designed titles or graphics is to build them in an external program like Adobe Photoshop or Adobe After Effects. Both of these applications are much more powerful design tools and give you a lot more flexibility when creating titles. Using an imported title gives you the option to change a title once and have all instances of that title reflect the changes once you Batch Import the new file.